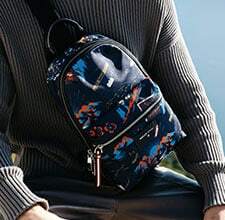 Founded in 1851 in Switzerland, Bally's reputation purveyor of tough but stylish accessories was cemented just about sixty years ago when explorers Tenzing Norgay and Sir Edmund Hillary became the first men to reach the highest point of Mount Everest—while wearing Bally hiking boots. 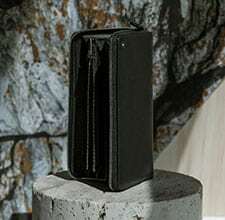 Last year, the company brought on a new CEO, Frédéric de Narp, to help the brand expand its offerings and it was announced earlier this year that Pablo Coppola was promoted to creative director of the brand (from his former post as accessories design director), overseeing everything from men's and women's ready-to-wear collections, to shoes, bags, and even eyewear. Coppola, who was born in Argentina, has a solid resume with stints at globally known brand such as Burberry, Tom Ford, Alexander McQueen, and Dior. We spoke to the designer about the brand's rich archives (and why he's going to ignore them—for now), what he wants to bring to Bally's clothing collection, and what you can expect from the new Bally man. ESQ: So in your career, you've mostly focused on accessories, right? Pablo Coppola: Always accessories. When I was in school I studied to be a ready-to-wear designer, but you know, it was all by chance that I ended up here. After school there weren't any ready-to-wear jobs available, and I ended up meeting this woman who worked at Céline and I got the chance to do accessories with that company. But that was in 2002 or 2003. That was my first job. ESQ: Well it must be nice to come to Bally that has such a strong core in the accessory world but also has this ready-to-wear component. PC: For me the key thing is that it was a foundation in accessories. You know, at a lot of places I've worked, the accessories are always at the end of the process and they can feel like an afterthought, so this is my revenge [laughs]. At Bally it's like the clothes are the accessories to the accessories, if that makes sense. In a way, we almost use the clothing as a capsule collection to help round out the look, to explain further who this man and who this woman is. ESQ: When you came to the company, what did you know about its history? PC: To be honest, I didn't know that much. I knew that it was a big heritage shoemaker. I always thought of it as a very masculine brand, probably because it has this history with Mt. Everest and skiing and exploring and adventure. As soon as I came here, the thing that shocked me was the size of the archive. 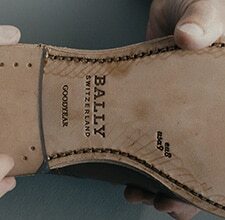 Don't quote me but I think there's like thirty-four-thousand pairs of shoes in the Bally archives. That's insane! 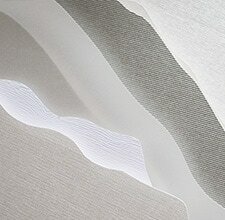 They have prototypes, the patterns, samples, everything. It's quite amazing. It's funny because the men's shoes look similar to the styles we have today, it hasn't evolved a ton. ESQ: And you're handling both men's and women's collections now. PC: Yes. On a day-to-day basis the womenswear can be more exciting and interesting, but when you start to see the men's samples, that's when that category really comes to life for me. Menswear is trickier and it can be difficult because I measure it on myself, you know? Not to say that I'd wear it all, but I think, Oh, would I wear that? ESQ: Another great thing about Bally is that you have so much history to draw from in terms of the archives of illustrated advertisements. PC: It's true, in the future we're going to try to bring them back as a tradition. Not as advertisements, but just as a way to keep that tradition going. You should see the archives, everything is beautifully organized and protected. And when you're looking through you see that Bally used all these famous artists and illustrators of the time. Now, photography is so immediate—it's almost like anyone with Photoshop and a camera can make a nice picture—but that makes the illustrations really special. ESQ: But the drawback of having such a long history is, I would imagine, how do you find your own voice while still respecting the brand's heritage? PC: It's a bit tricky, for sure. At first, I actually made it a point not to look through the archives too much, at least initially. I wanted the first collection to be a palette cleanser, to kind of start from scratch in a way. I didn't want it to look have that look that's become typical of certain heritage brands, or make it about a bunch of re-released styles from the archives. Instead, we tried to focus on these details, like a buckle or the shape of a shoe, and then you play with it in a different way. For example, I took this embossing motif that was used for a man's spectator shoes and I applied it on a woman's bags. I like that sort of translation, when it's not so literal. I like to use things in a more random way, not just reissuing famous pieces. I find it interesting to take small details and to figure out how to use them in off-handed ways. Of course this is Bally, though. There is a beautiful history here and we should communicate that, but we can't let the past dictate the future, not exclusively at least. It's boring to just re-do the same old things. ESQ: So fall was your first collection with the house, right? How did you approach it? PC: Well it's funny, because when we showed it and everyone, of course, asks, what the inspiration or what the theme is. Well, the theme is that there is no theme. We just wanted to make a basic wardrobe for a guy. We made it about a great peacoat, the perfect sneaker, a great pair of flannel trousers. 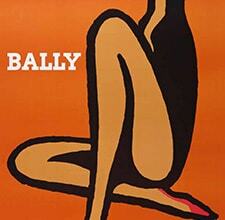 We referenced what we like and what we want to wear and we made it the Bally way. We took the logos out and paid attention to the little details. If we made a traditional hiking boot, we lined it in cashmere, stuff that felt luxurious like that. Even for a denim jacket, it looked like your typical jean jacket, but it was made from Japanese raw denim that had been washed and was completely bonded to cashmere. 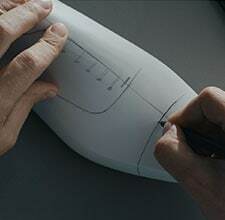 The details are built-in for the people who buy and wear the garment, it's not about this huge fashion statement. A wardrobe of luxurious staples was the mood we wanted to achieve. We're not designing for a trendy man, there's enough stuff like that out there. We wanted everything to look familiar, but when you get closer you see that everything has a little twist. Even the casting, we didn't want to show it on model-y looking guys. We found an actor, a jeweler, a doctor instead. 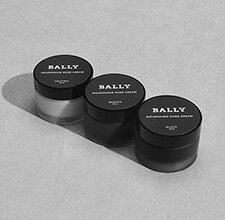 The idea is to make it less pretentious, Bally is more about a lifestyle than like fashion. Not that there's anything wrong with that, but that doesn't feel right for Bally right now. Our Bally guy is gonna buy one pair of boots, and they'll be beautiful and classic, and he's just wear them into the ground until they're destroyed. ESQ: So what can we expect from your collection for spring/summer 2015? PC: The foundation will be the same, but we're going to slowly introduce some prints and textures. We're feeling out things that have a pajama quality to them, but done very, very subtly. You'll see it in linings and pipings, but nothing radical. I want to have this look [from fall 2014] really permeate and settle before we do anything different. You know, we showed it but it's not going to be at the stores for a few months, so I want to see how that goes. I also don't think you should have to change too much from season to season, I think where we are is a good place to be and we can evolve from here.